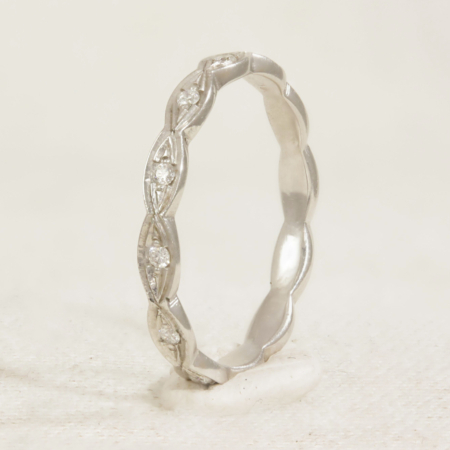 18k White Gold Wedding Ring with a lip along the side. 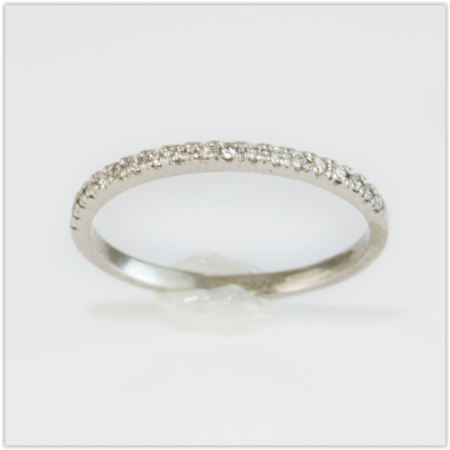 A lip has been added to the side of the band to sit beside your engagement ring. 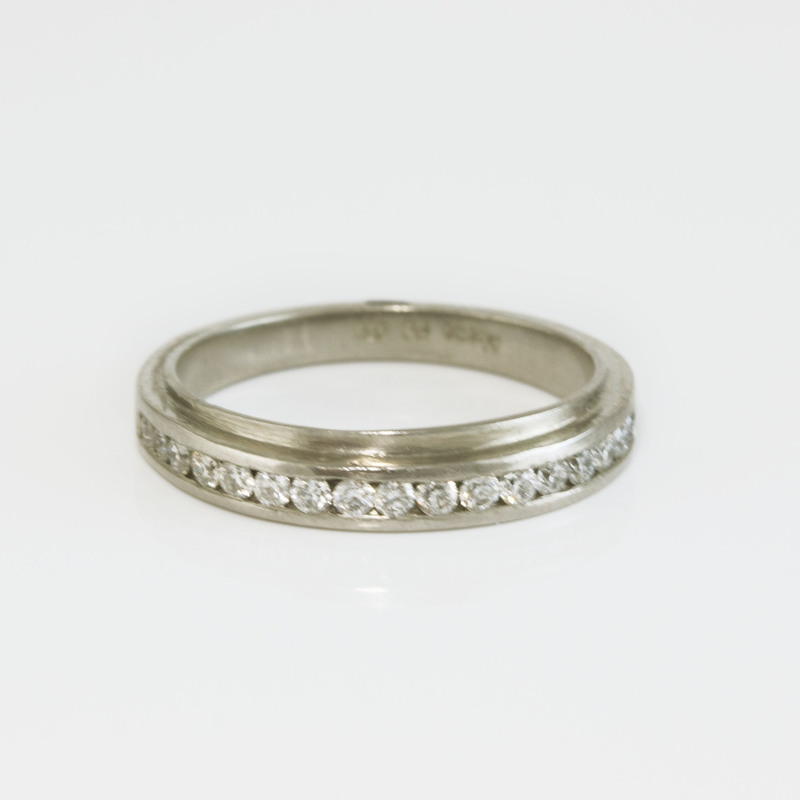 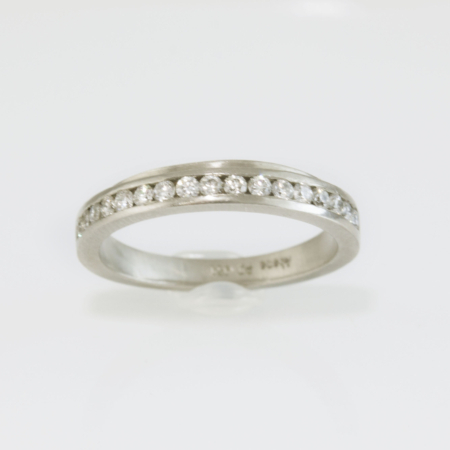 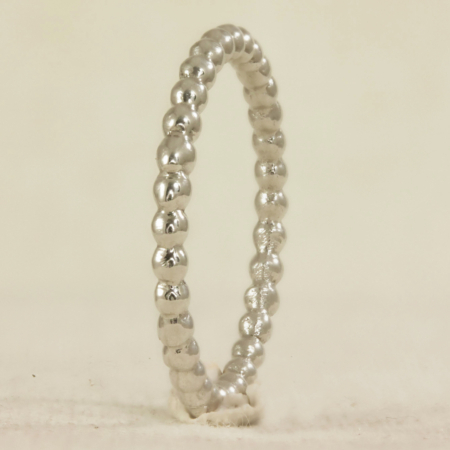 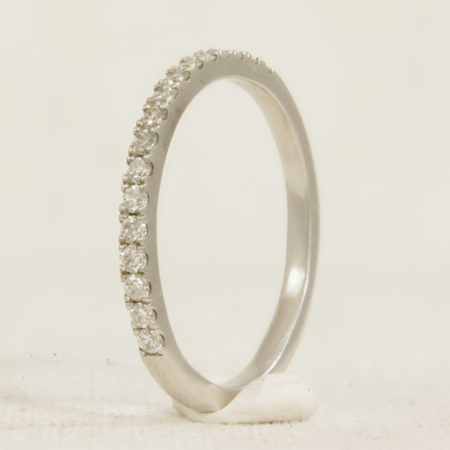 This is to push a curved engagement ring aside just enough to allow you to wear a flat wedding band against it without damaging your engagement ring.